These findings are from a blog post I wrote two years ago, but the situation probably hasn’t changed much since then. 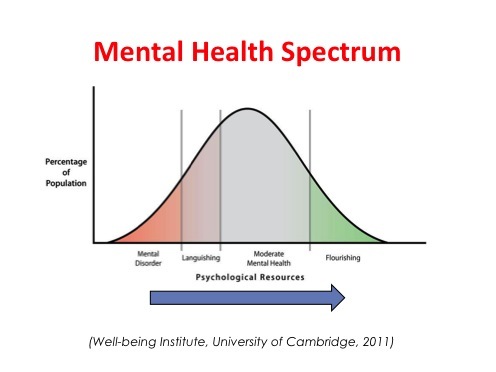 One in five Canadians has a lifetime chance of mental illness, according to The Mood Disorders Society of Canada. 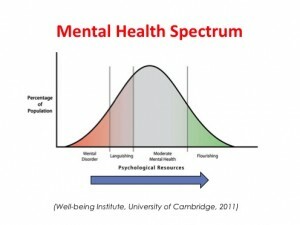 10.4 % of Canadians are experiencing a mental illness at any given time. This jibes with statements that one in ten Americans are taking antidepressants, the most prescribed medication in the USA. World-wide, depression is the leading cause of disability. Today’s antidepressants are no more effective than their counterparts in the 1970s, despite the billions spent on research and development during the past forty years. The newer drugs simply have fewer side effects, which makes people more inclined to continue taking them. Drug treatment is still hit and miss. No one really knows why antidepressants work. Many question if they work at all. A 2011 study published in the Journal of the American Medical Association found that, while meds appear to benefit severe depression (about 1/3 of cases), for mild to moderate depression they are no more effective than placebos. Evidence suggests that some kinds of therapy, notably Cognitive Therapy, work better than medication, especially for preventing relapse. Therapy combined with medication works best. The rate of relapse for severe depression is 50-90 percent, depending on which website you read, with a lifetime average of four episodes per person. Scans show that depressed brains look different than normal ones. 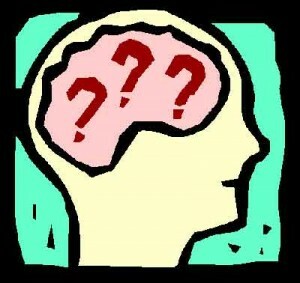 It’s unknown if this altered brain chemistry causes depression or is an effect of it. 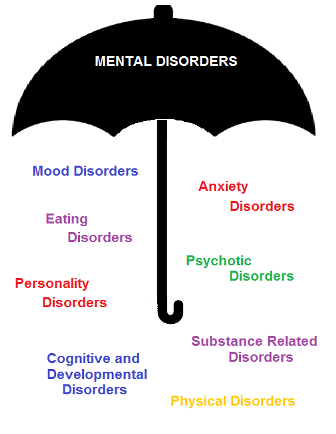 Is mental illness caused by biological, psychological, environmental or other facters, or a combination of these? The debate continues. 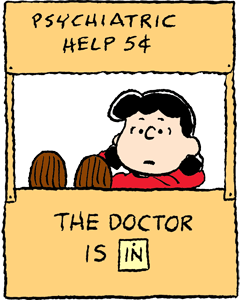 An hour of treatment costs more than 5 cents today, but is it more effective than Lucy’s therapy? This preliminary research made me want to dig deeper, so I went to my library website and put holds on books about psychology and psychiatry that seemed relevant. Most of these books took me through the history of psychiatric treatment, which has been with us for less than two hundred years. They also provided different opinions on current treatments. Extremely different opinions in some cases. Which led the blog post reviews that I’m re-posting this February Psychology month. An intriguing graph. Is this true?